Use WordPress, BlogSpot or even Posterous. There are many more out there to fit your taste and best of all they are free! 2. Live broadcast your church service: You’d be surprised how many people would like to see it. And different than a few years back when you needed expensive equipment set up, all you need is a laptop with a camera or even a mid-level smart phone and you can broadcast in a matter of minutes. uStream and LiveStream are just two of the many options out there. And for the basic user, they are all free. 3. 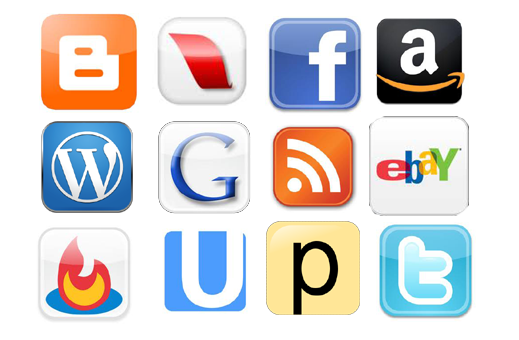 Social networking: The world is moving away from common trends of communication. Get involved! Social networking is the way to do it. Sign up for Facebook and Twitter. They are popular and free. A Facebook page is a must for any branding or marketing strategy today. 4. Mail lists are outdated, time consuming and quite costly. Except if you use the internet to do them. Use FeedBurner. It is very fast and effective and also free to use. 5. Monetize your web presence creating a steady stream of profit for your ministry beside traditional tithes and offerings. Use Google AdSense, eBay partners, Amazon Associates or any other affiliate program that fits your marketing approach. Not only they are free, but using them can support your ministry! Need assistance? Learn how we can help you with your church branding on the internet.